Even for a “small chance “of meaningful improvement in his brain function, chance to make him interact, smile and look at objects, parents Chris and Cornie are willing to go all the way. The story of Charlie Gard, a story of the love of a parent for their child versus conventional medical opinion, the court and the promise of a potential experimental treatment across the Atlantic by an American physician who wants to trial Nucleoside treatment. Born perfectly healthy, Charlie started deteriorating from 8weeks, he is currently on a life support machine which helps him maintain vital functional mechanism he is unable to perform. The parents are now waiting for the final ruling from European court to determine whether or not he should be taken to the state for the treatment. Charlie suffers from mitochondrial depletion syndrome, a group of clinically heterogeneous diseases, commonly defined by a lack of cellular energy due to oxidative phosphorylation defects. The clinical syndromes associated with (mtDNA) mutations are extremely variable and patients can present at any stage in life. On the whole, the age of onset reflects the level of mutation and the severity of the biochemical defect, but other factors (presumably nuclear genetic or environmental) also affect the expression of disease. The condition can affect any organ with depleted mtDNA such as the Liver, Brain and intestines, with varying severity and can occur at a different stage in life, the prognosis is, however, better in adults suggesting that Charlie’s early onset of expression of symptoms is not favourable. Doctors at the London Hospital treating Charlie do not believe the treatment in the US will help, but the parents have managed to raise £1.3m through a crowdfunding site to pay for the US treatment and to get him to the country safely, as a specialist plane and nurses are needed. They hold on to every strand of hope to give Charlie a chance in life. The parents are now hoping that the European court of human right in Strasbourg will rule in their favour after exhausting their legal options in the UK. This bore some resemblances to the case of Ashya King, a young boy diagnosed with brain tumour, the proton beam therapy needed for the boy was not available on the NHS, and the hospital was adamant they had given the boy the best treatment available, this lead to a desperate measure from the parents who took him to Europe without the permission of the health authority and subsequent ridiculous search warrant placed on the parents followed by an arrest in Spain. In the end, common sense prevailed, parents were released, Ashya was allowed to go on to Prague to receive the treatment. The last that was reported in March 2015 was that Ashya was free of cancer. The medical condition and severity of Charlie and Ashya are different and the prognosis for Charlie seems poorer compared to Ashya , the similarities are the readiness, willingness and absolute resolve of the parents to give them the utmost chance of survival and opportunity to live, in both cases. The position of the parents in both cases is at odd with those of the medical team looking after them, which bring the issue of ethics and parental responsibility sharply into focus. Although the right of parents under parental responsibility is not absolute, there are limits, the health authorities have the right to challenge the decisions of parents if they believe the parents are following a course of actions that are contrary to the best interest of their child, but in cases like this, common sense should prevail. Doctors have given up hope, they are only waiting for permission to switch off life support, on the other hand, the parents are clinging on to hope, fighting to give the boy a chance and possibly help others that may have the condition in the future, because a successful treatment in this trial can then be replicated in other patients. The common sense here would dictate that court grants the parent their wishes. 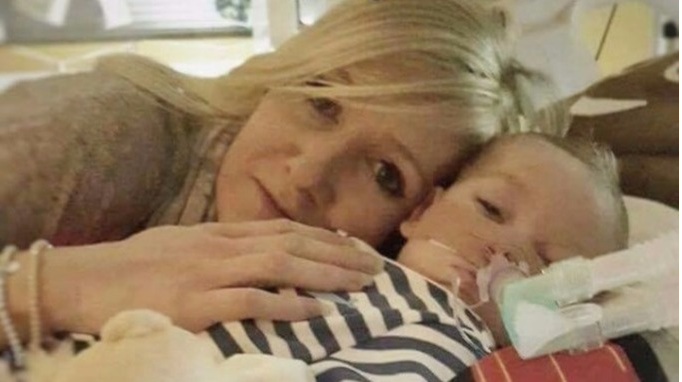 The parents are acting no doubt in the best interest of Charlie, even though the treatment they are pursuing is experimental, but the only other option is to have the life support switched off and watch the life of precious Charlie slip away!